Departure Points: Le Havre or Honfleur. Other departure points are available. Inquire. Enjoy a highly informative and engaging private Normandy tour from Le Havre or Honfleur. You will tour Omaha beach, American cemetery, Arromanches and time permitting visit to Pointe du Hoc. Your private Normandy tour from Le Havre or Honfleur begins at Arromanches where you will stop at a viewpoint at the top to see the artificial port on the sea, and if you want you can also see a 360-degree film about the allied forces first hours on D-Day. Next your Normandy tour from Le Havre or Honfleur will take you to Omaha beach, where so many young American lost their lives. 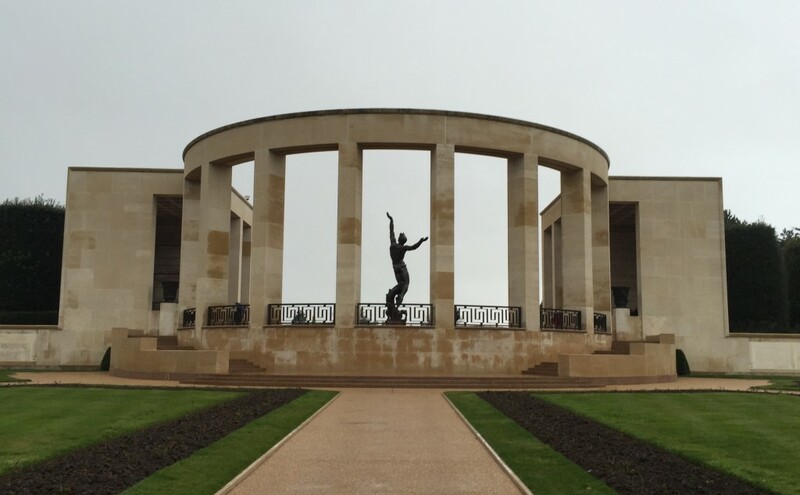 You will visit the American cemetery and the museum which features stories, photos, films, interactive displays and artifacts. This Normandy tour from Le Havre or Honfleur also features the spectacular Pointe du Hoc, where Colonel James Rudder and his Rangers accomplished a memorable feat of arms on the cliffs on June 6, 1944. Located between Utah and Omaha beaches, Pointe du Hoc is a cliff 100 ft. high. Pointe du Hoc was where the Germans had fortified bunkers with artillery pieces that could reach Omaha and Utah beaches. Hear about the history from your expert guide.